Maybe you began 2018 feeling hopeful you'd finally hit the highly desirable Inbox Zero milestone. However, now you're realizing that goal seems more out of reach than you anticipated. Fortunately, you don't need to give up yet. This list of smart email assistants could help you clear out and organize your email box faster than anticipated — and permanently. KnowMail learns your habits and finds the most important emails in your inbox based on those patterns. You can use it on your computer or a mobile device. What Sets It Apart? The AI-powered interface goes beyond telling you how many urgent emails you need to read. It also gives you an estimated timeframe for doing so, making it easier to plan your day and stay productive. Astro has helpful filters that sort emails based on previous actions you have taken, such as starred messages or ones you've "snoozed" to read later. Tracking features let you know when a recipient opens a message, and gives alerts when emails you send go unanswered. Knowing those things helps you decide what to do based on how people behave. What Sets It Apart? A unified inbox feature combines all your work and personal emails from Gmail and Microsoft 365 into a single app, saving time you'd otherwise spend switching between interfaces. Trove is an AI assistant built on the concept that the emails we send could hold the keys to new, beneficial connections with people of influence in our industries — but we don't know it yet. It's designed for Gmail, but support for Microsoft 365 is in the works. Trove could help you reach Inbox Zero by clarifying which of the compiled emails you have are most valuable, and which you could safely delete. What Sets It Apart? The program combs through your contacts and advises which of the people you know are most likely to help you grow your professional network. You can then request referrals directly in the app and see how long it typically takes a person to send replies. This free Android app groups your emails by sender, allowing you to stop trying to find messages you know a person sent, but can't remember when. It also offers a contextual text search, so when you need to find an email about a topic, but aren't sure who the sender was, that feature could help. What Sets It Apart? WeMail offers one-click access to all the pictures or other attachments you and another person ever exchanged. This capability makes it especially helpful if you often transfer essential files between colleagues and don't want to waste time tracking them down later. This iOS app takes an action-oriented approach to email organization. Tap icons to swiftly deal with emails by triaging them based on characteristics such as content or sender. You can also store most-used replies, saving you from typing them out later. Dispatch is compatible with over two dozen other apps you may already use to get more done, letting you easily send messages to other services such as Dropbox when needed. What Sets It Apart? There's an auto-salutation feature that populates your email body with a greeting, letting you get right to the meat of your message without seeming callous. Marketed as an AI app for law firms, Zero organizes emails and helps users process large volumes of data quickly. What Sets It Apart? Most AI services process data in the cloud through a third-party service, which poses a potential security risk. However, Zero processes data directly on the end user's device via edge computing. Also, Zero connects with other systems a law firm uses, such as billing software, helping attorneys use their time wisely. If you often use email for meeting scheduling, Clara is for you. It understands your preferences and uses that information to help you connect with colleagues. The service also automatically follows up on meeting requests when required, ensuring recipients don't overlook them. You could use the time you save to take care of more important things — such as cleaning out your inbox. What Sets It Apart? Clara can automatically book conference rooms for you. Also, to keep attendees in the loop, the service provides them with meeting details. This app automatically puts your emails into categories, such as travel-related messages or those associated with subscriptions. Then, you can speedily find relevant content or decide whether it's better to delete it. Edison Mail also gives you real-time notifications about other things besides incoming emails, such as news that somehow relates to an email you received. For example, you could get information about a flight change or a package that's out for delivery. What Sets It Apart? The tool can search through all your inboxes at once when you need to find a specific email. That feature is particularly helpful when you have several accounts for different purposes. Findo is an intelligent search assistant that connects with your email accounts, as well as other services such as Dropbox and Messenger. Use the master search feature to quickly retrieve emails and take actions with them in your quest to reach Inbox Zero. For example, you could use Findo to locate an email, then archive or delete it. What Sets It Apart? This app has search-by-description capabilities. That means you can say something like, "Find that email containing an attachment sent to me by someone from New York last month." It works well when you don't know the name of a company or individual, but can recall other details. Maybe one of the reasons you struggle to reach Inbox Zero is that your emails aren't clear enough, causing recipients to write several follow-ups for clarification. Boomerang Respondable uses data pulled from millions of messages to give you real-time feedback on email effectiveness. What Sets It Apart? Meters on the side of your screen automatically change as you type, combining to give a score that indicates the likelihood of receiving a response. Boomerang Respondable also detects the kind of email you're writing and gives advice about language and word choices. X.ai is another tool that schedules meetings automatically through your inbox. AI assistants named Amy and Andrew learn from every interaction, getting smarter the more you use them. What Sets It Apart? You can send emails to Amy and Andrew in natural language, directing them how to handle meetings as things change. Ideal if you use email for marketing purposes, Phrasee learns from the response metrics of your audience and helps craft messages people want to read. It uses advanced language-generation algorithms and analyzes the replies people send, assisting you in improving over time. Perhaps your inbox features too many messages from people who didn't understand what you were trying to say. Phrasee could make those correspondences less likely. What Sets It Apart? The Phrasee Pheelings capability, which predicts the semantic triggers most likely to cause favorable responses, is extremely helpful for marketers. This voice-powered email assistant uses voice notifications to let you know about incoming emails, and can also read them to you. Less.Mail then lets you respond to them by speaking back to the app. What Sets It Apart? The app tells you what kind of response a recipient requires. After you say something, it analyzes your words and comes up with a fleshed-out answer. For example, if a conference organizer emails to ask if you're available to speak at the event and you reply to the app by saying "No thanks," it'll add context by declining the invitation and saying your schedule is too hectic. Mailbutler has a send-later feature that optimizes delivery dates based on recipients' schedules. It also lets you look at emails later — and reminds you, so you don't forget. What Sets It Apart? It can detect if the email lists you subscribe to allow unsubscribing via the email rather than an external link. If it does, Mailbutler inserts an Unsubscribe button in the message header for easy access. This is another email assistant that schedules meetings through email. Like some of the others already covered, Julie Desk learns your habits and takes data like travel tickets into account when adding engagements to a schedule. What Sets It Apart? This tool combines AI with human intelligence to virtually eliminate potential errors. The 24/7 human input verifies and validates all emails to make sure they're correct. This email meeting scheduler uses your home time zone by default. However, if some of your meeting participants live in other cities, Evie takes that information into account and finds the best meeting times for people in multiple places around the world. What Sets It Apart? Evie can designate between mandatory and optional meeting attendees, ensuring all those in the former category respond to invitations promptly. Pega automatically understands a message's intent, then responds with a reply that seems like it came from a human. With the help of natural language processing, it decides the best way to handle an incoming email. What Sets It Apart? 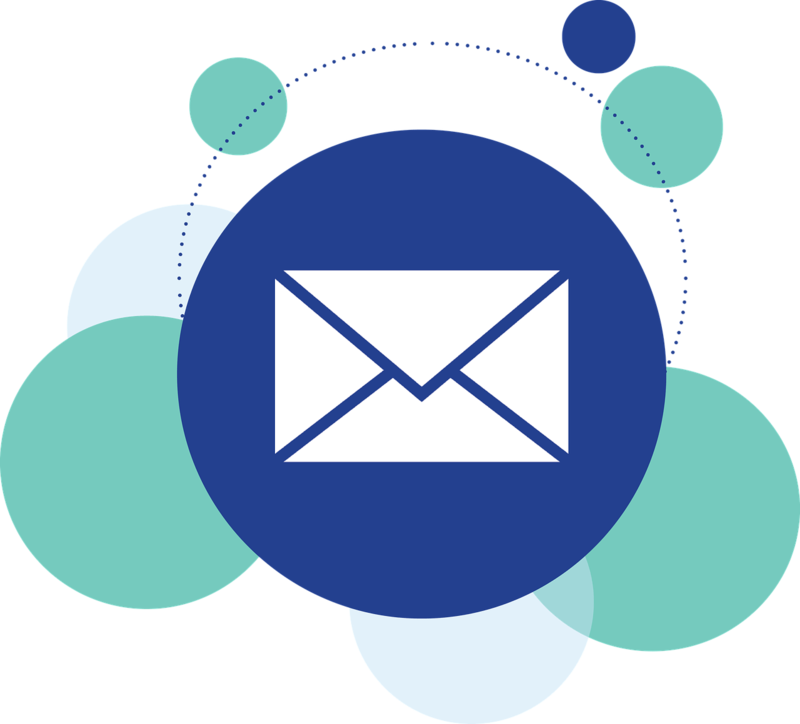 Designed for businesses that deal with substantial amounts of incoming emails, Pega creates case tickets for each email and sends them to the human workers who can best take care of a user's request. It also captures positive and negative sentiments, alerting representatives of instances that may indicate a customer is upset. This Chrome extension allows for snoozing, muting and replying to Gmail messages without opening the inbox. It also learns from your habits and only sends notifications about emails that most closely match the messages that normally receive replies from you. What Sets It Apart? Caspy can notify you of new emails in batches on a schedule you set. It also gives you suggestions for how to reply to the most important contacts in your list to keep them from losing touch. Like the other meeting schedulers on this list, Sally handles the back-and-forth communications of nailing down times for important engagements, keeping replies from clogging up your inbox. What Sets It Apart? You can use Sally to make flight or dinner reservations, too. Just send an email with your time and date preferences, and the tool generates a reply to you after retrieving the pertinent information. This AI assistant searches through the emails you receive, then extracts responsibilities from the content and creates to-do lists for you. This task-driven approach saves people from having to email you reminders about getting things done. What Sets It Apart? In addition to understanding crucial bits of information such as deadlines mentioned in emails, Yva can send reminders to colleagues who haven't completed tasks you asked them to do. SaneBox is an email-filtering app automatically sends emails you receive to dedicated folders, allowing you to deal with them when or if you see fit. What Sets It Apart? There's a SaneNoReplies folder. It holds all the emails you send that don't receive replies and updates accordingly. Then, you can review the contents and proactively write messages to nudge recipients. Also, a SaneNotSpam folder constantly monitors the spam section of your inbox and overrides any email provider features that may treat a non-spam message as junk mail. This list of apps proves accomplishing Inbox Zero isn't hard to do. You just need an assistant that handles the heavy lifting to schedule meetings, follow up on leads and categorize messages by subject or sender. These possibilities do those things and more.